You will not run into any one who does not own a telephone, Smartphone, tablet, or computer these days. More often than not the people you meet on a daily basis will have at least one if not all of these attached to their person somewhere. It is a spoken fact when someone says that technology runs our lives and most people cannot imagine life without it. If you are someone who loves to travel or travels a lot for business you may or may not be good at the travel concept. Some of us have a good sense of direction while others have no sense of direction at all. Other can speak several different languages when others one speak their native language. Many are not organized at all and will often forget important items such as a passport and other important documents that will be needed. Most of us do no think twice about putting reminders into our Smartphone that will help us to pack when we are traveling. People use this type of technology to enter pop up reminders as to what to pack. For example you can put a reminder into your phone that will remind you to pack your passport and many other items that you enter also. It used to be that the only way to book airline travel or a hotel was to contact a travel agency. However now there are many different search engines on the Internet and you can find a good deal simply by clicking a couple of time. This is easy and there is not an extra cost to you. You will also be able to compare many different websites and prices for air travels as well as hotels to find the best deal available. This can be done from a computer, tablet, or Smartphone and can even be done while you are in route to the airport or to the hotel. Many times you will be traveling alone and you do not speak the native language. If this happens you can depend on your Smartphone to help translate the language when you need to communicate or you can connect with the local people. There are many people who live in the area who love to meet visitors and show them around. You can find these people by using a search engine through the Internet. Often times they will even let you sleep on their couch. This practice is known as couch surfing. When you are on the road and traveling it is much easier to keep you Smartphone attached to you or put into your pocket. This makes it easy to take a quick picture of something that you want to remember, look up directions, make reservations or even translate a language or money. Having the ability of technology when you are traveling can open up a whole new direction to your better travel. 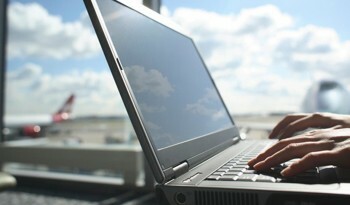 There are many people who depend on technology to plan their trip as they go along the way. The art of technology is changing on a daily basis. This makes things easier to accomplish when you are traveling and can often make your traveling experiences much more fun and enjoyable. You should be careful as to which websites you are visiting when you are making reservations and be sure that you are not being charged any additional fees. Other than that you should sit back, relax and enjoy your trip.